Good morning, Friends! Well the Super Bowl definitely did NOT go the way I had expected! Yikes!! Sure wish it had been a lot closer and more of a game. But it's all over and the Manning jersey is packed away for next year. Love that guy!! This week is supposed to be colder and snowy. Hmmm… But this weekend my friend Sherry is coming for a visit and that will make everything better!! Guess I had get my stuff done before she gets here! Pretty simple! And I am having fun with those fringe scissors! Thanks for stopping by and have a super day! 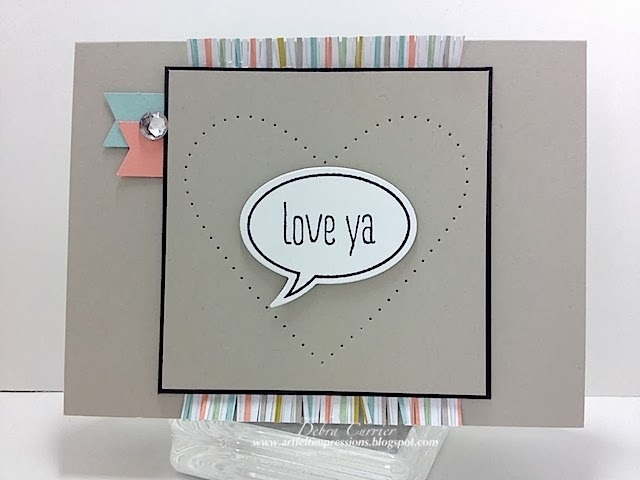 Love your card ! TFS ! I've been debating about buying the fringe scissors. What else have you done with them?